Paris Grey for the background and that made me decide to redo the previously red hearts in the art to pink. Pink was little bit of a different choice for me, but when I saw how beautiful the bougainvillea flowers were outside it was the perfect choice to pair them together. Maybe before Valentine's Day a few pink roses would be nice as a change. I've had the pretty mercury glass hearts for a while, and this was the perfect time to bring them out to add to the other mercury glass pieces. 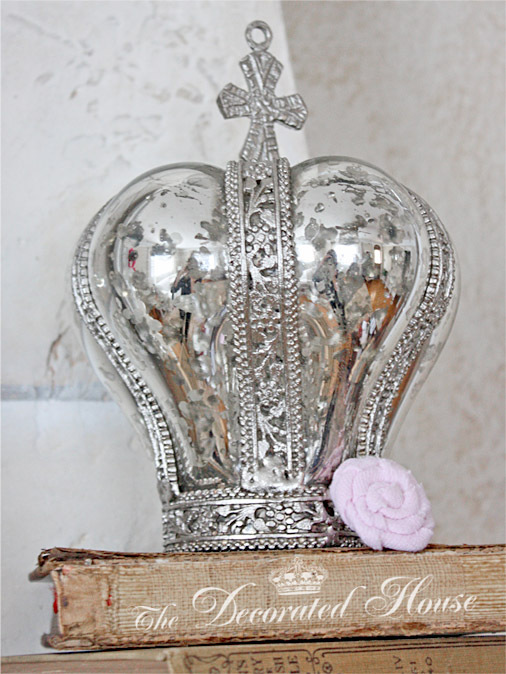 The crown was put away for a little while after Christmas, but it too came back out to the mantel because it was so pretty with the hearts. I needed a touch of pink on that side, so I made a quick little rosette from a scrap of pink sweatshirt that I was using to buff some wax! It was perfect in its color and softness. the rules, but there is a lot of resellers there. Just a note to anyone who might be looking for a pretty crown, these are not old. Love that crown, Donna! What a great frame! I love the detailing on it and it looks great in the Paris Grey. I did a frame with that color, too, and with some Old White dry brushed on, it really made the details stand out. Your mantel is beautiful, Donna. I love all the silver touches. Love the combination of the silver, grey and pink! 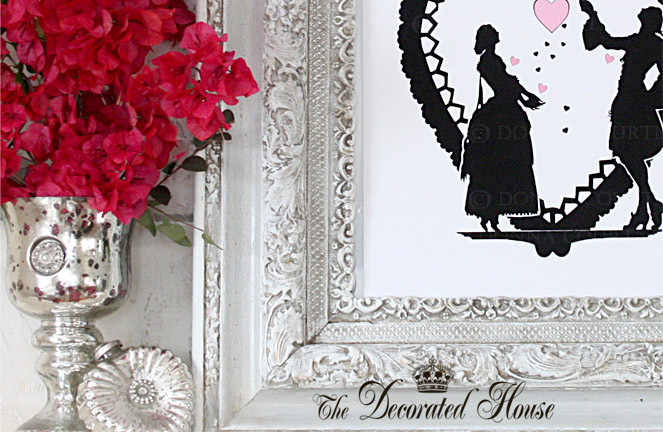 Your artwork is just wonderful, love the graphic, and the frame just makes it fabulous!! What a beautiful mantel arrangement! Your artwork if perfect for it! Donna, what a pretty mantel! LOVE the crown!! 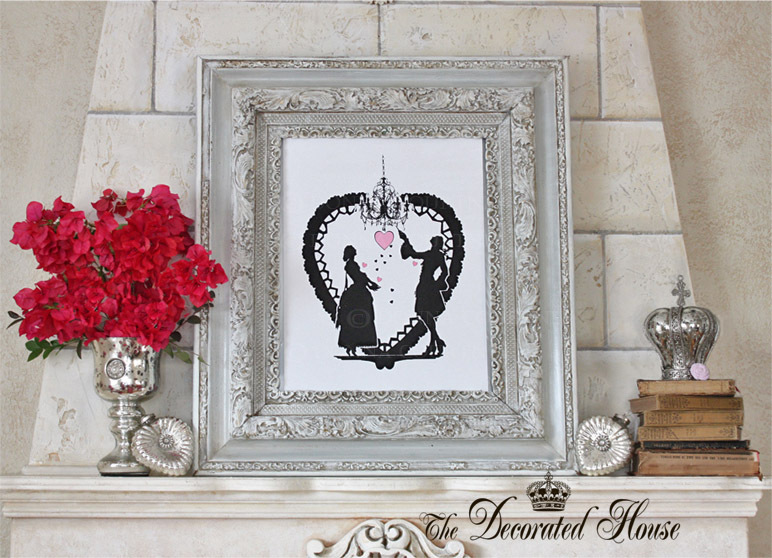 You've created a gorgeous vignette! I have that same picture framed but with a red heart; that I won from you !!! Love it !! !